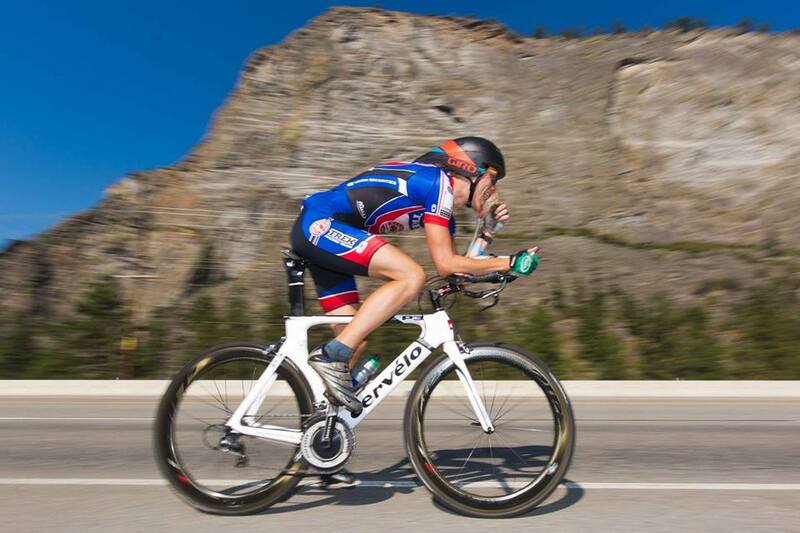 Ultra520kCanada is three day multi-sport event which includes 10k of swimming, 425.6k of cycling, and 84.4k of running. It is considered one of the most gruelling events on the planet. Stage one was done. I drank a two litre banana smoothie, grabbed a water bottle, and hopped onto the massage table. Back at the hotel I rested, while my crew prepared for stage two. I had been unable to remove the broken bolts in my aero bars, so I moved to plan B. I unscrewed the still functioning pad then taped the cushions to the bar. The new position was both lower and less comfortable, however, it was only 275 kilometres. How bad could it be? The lights were out by 7pm. Staying relaxed...or trying to. Photo Gord Golbe. Day two was done. I checked in at a motel, had a second dinner, and went to bed; I had a double marathon to run in the morning. The following morning, a cool breeze swept the start of the race. 7 am approached and I reluctantly removed my warm layers. I walked to the start, ready to toe the line with the other athletes. The race began and the runners took off. Idle conversation illuminated an otherwise empty road. After one kilometre someone joked that we only had eight-three more to go. Ultraman Nutrition Strategy, How Not to Poop. A race is only as good as the people involved, and the people at Ultra520kCanada were some of the best on the planet. Everyone was fantastic: the racers, the organizers, the announcers, the medical staff, and the officials. Huge thanks to all the crews involved. I was not only cheered on by my crew, but all of the crews. The race itself was incredible, but the people were more so. Thank you to everyone involved for giving me a fantastic Ultra520kCanada experience. And finally, thank you to my crew, Mom, DJ, Christie, Daniel, and Charlene: you made the journey possible. Thank you. For more photos of the people of Ultra520k click here.